"I Went Out One Night And It Lasted Three Years"
Controversialist. Anti-drag queen. Philosopher king. 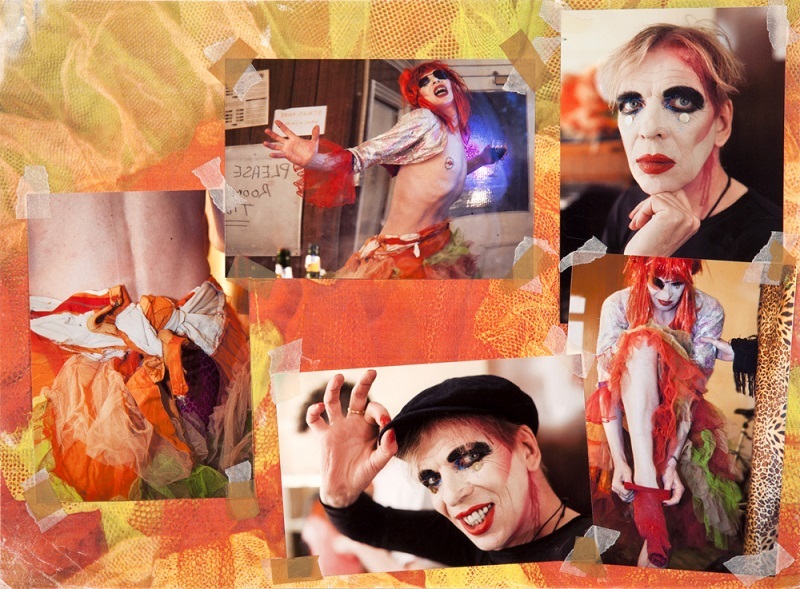 David Hoyle has been called all these things but who is he really? 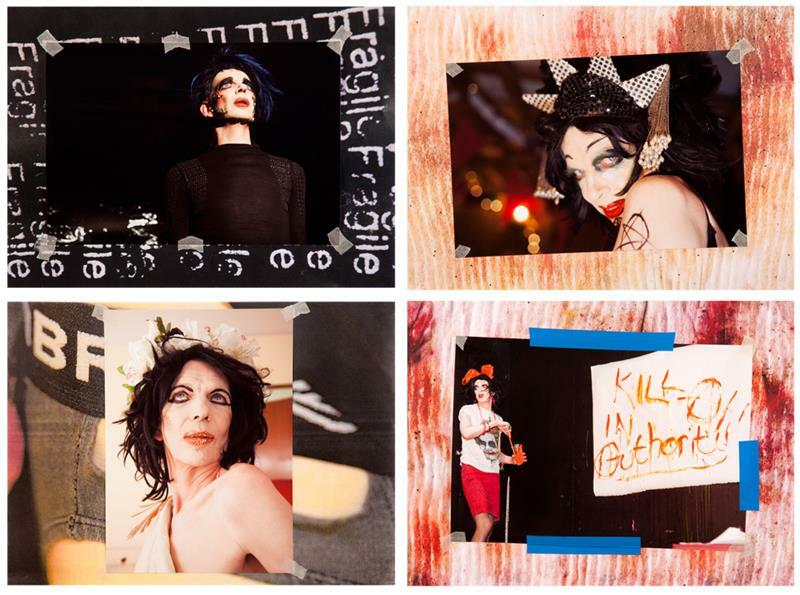 Now that we are neck-deep in drag queens on our screens, it is not unusual for the mainstream media to label any cross-dresser with a novel angle as “original” but there has been no-one quite like David Hoyle for decades. A new photobook by Holly Revell gives us new and refreshing insights into one of the truly seminal drag performers around. Very little about Hoyle can be described as conventional. Born in Blackpool in 1962, he was bullied for being gay and had a mental breakdown when he was just 14. Hoyle moved into performance and, by his early thirties, had built up a following as The Divine David, a controversialist who kicked out against the middle classes, the “materialistic-hedonistic gay scene” and that which he considered heteronormative. Over the Nineties, he found new platforms for his acerbic character, appearing on the BBC’s Comedy Nation and in two star vehicles for Channel 4 (The Divine David Presents and The Divine David Heals). Here he is from that era, giving some tourists insight into London “history”. By the end of the decade, fame took its toll and Hoyle had another mental breakdown. He returned to television in 2005, appearing in Channel 4’s Charlie Brooker comedy Nathan Barley alongside Richard Ayoade, Julian Barratt and Ben Whishaw. Since then, he has directed and acted in feature film Uncle David, represented the Avant-Garde Alliance Party in 2010’s general election, and had weekly residencies at the Royal Vauxhall Tavern and the Bethnal Green Working Men’s Club. He has also been in a number of one-off shows like Unplugged at Soho for which he performed a superb version of this modern classic. 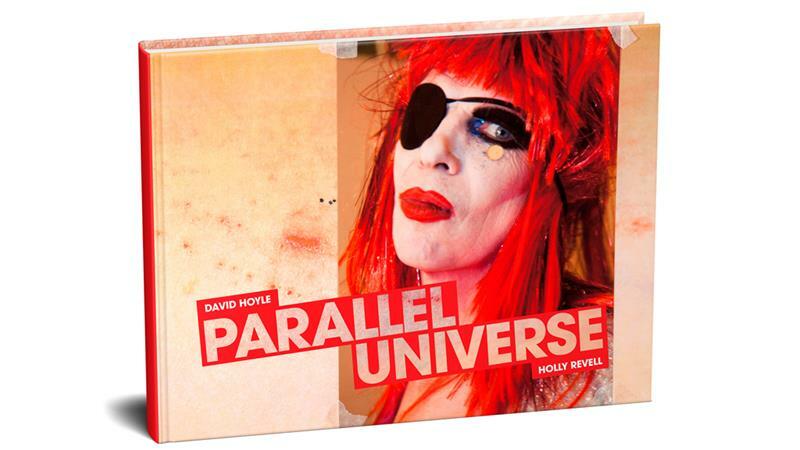 Getting past the façade to see the man beneath was never going to be easy but, for her new book David Hoyle: Parallel Universe, Holly Revell has explored many aspects of this fascinating and provocative artist who has been called cabaret’s philosopher king. Over the last eight years, she has photographed him at various events both on and off stage and has compiled over 300 of the pictures into an eye-opening study of someone who is arguably this generation’s finest drag queen. 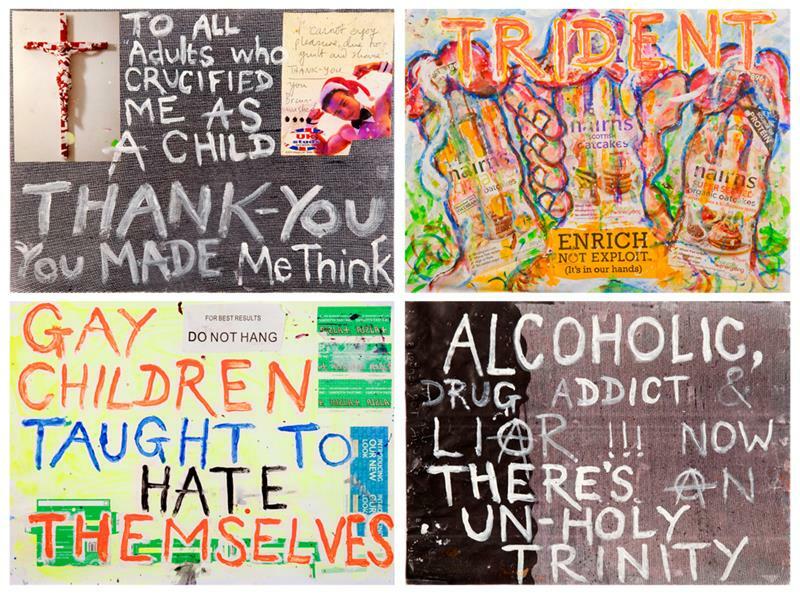 Revell, who is crowdfunding funds towards this book, has also added over 25 textual artworks created by her subject specifically for this project. Check out the illustrative examples for an idea of what to expect and see Hoyle himself later this month.